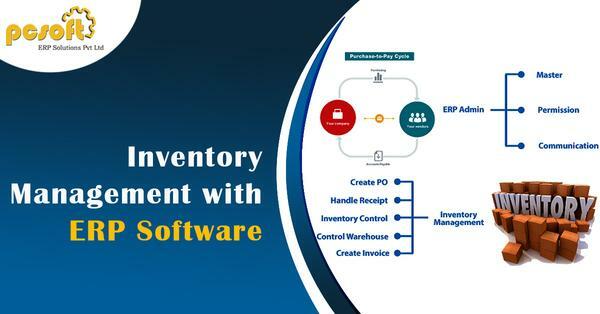 Inventory Management with ERP software | PCSOFT ERP SOLUTIONS PVT. LTD.
One of the major components of the ERP system is its feature of inventory management. This helps you in a great way to monitor and manage your warehouses and its retail locations. For instance, consider a supermarket that is loaded with various products and a huge collection of items. You can manage this all in a very easy way by organizing the items with their unique identification numbers that are a lot easy to confirm, and all of this with ERP. It also gives you the freedom of checking the inventory levels for the item you want. But to gain the best result it is also important that you choose the best ERP software providers for the warehouse. With ERP you will have a precise reporting mechanism in your store and warehouses. This acts as a leading factor for the manufacturing department to analyze and plan the upcoming productions accordingly. ERP makes sure that you easily track the payments and align the flow of finances into your accounts. Your internal operations improve with these most efficient stocking methods of ERP system. 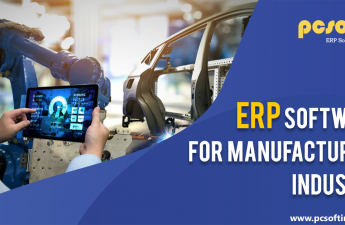 ERP has evolved through all of these years and is highly advanced due to its features like double-entry in the inventory without any stock input, output or transformation. There are also other extremely important features like drop-shipping, cross-docking, multi-warehouse are all looked after by ERP. In order to get these, all you have to do is find the ERP software providers for the warehouse. Every small or large organization and retail stores use the highly-customized ERP software to manage their warehouses and stocks efficiently, including the feature like calculating surpluses, rejections, repairs and a lot more. ERP inventory management systems are specifically designed to enhance and empower your business and are not just restricted to manage the inventory. Let us some of its standard features. Standard integrations with e-commerce, accounting, shipping, and various other operational tools. 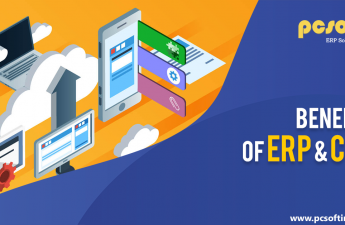 None of the ERP’s are similar to each other but their major purpose is the same, to align and centralize all aspects of the business operations. You can get the best out of it by finding the efficient ERP software providers for the warehouse. Using the ERP inventory management system can prove a big time-saving component for you. Introducing the automating in the management system through a centralized process not only minimizes the expenses of double-handling but also makes the daily tasks simple to perform. This eventually leads to an increase in the production and precise output in the least time. Every business person knows that efficiency and cost-cuttings go hand in hand. 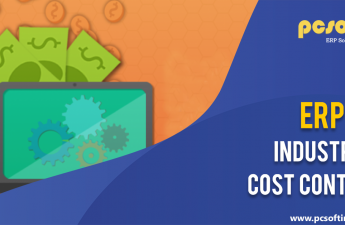 Instead of paying a huge amount for the systems that handle the individual business parts, it is better to get an ERP that manages all the business related operations simultaneously, minimizing the workload and also the cost. A lot of businesses are getting influenced to use different mediums to outsource their shipping and different logistic essentials. Skilled software providers for the warehouse offers you an ERP for the inventory management system that helps you to integrate with the various external partners ensuring a proper communication within the system. Along with the major updates on the stocks, orders, and customers through a single location, ERP inventory management gives you a quality in the data collection. A lot of systems allow you to build and save a sales report and also track the performance of the business. The efficiency of the ERP depends upon the ERP software providers for the warehouse you are choosing. If you are looking for the best ERP software providers for the warehouse and nothing else then we suggest you choose PC Soft and we will make sure you get everything perfect. Feel free to call us and we will assist you with all your queries.